Oh so silky Casimiro "lingers" and still has one of the densest, finest, drapiest and silkiest dark fleeces I've ever seen. At our local fair, the men even ooo'd and ahh'd when they touched his fleece. This exceptional handle is partially explained with an initial histogram of 18.0 m and 3.0 cv, very low scale height, no medullation and a very supple drape. 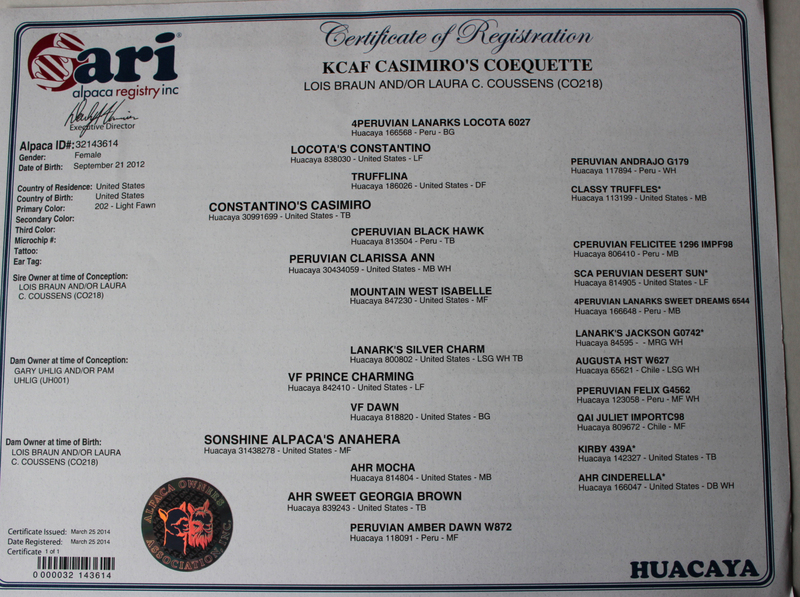 Casimiro progeny are all improvements over their dams. This dam will let three crias nurse at the same time. I frequently see other crias nursing from her. Maybe she makes chocolate milk! On 9-21-12 Anahera easily delivered a beautiful, energetic light fawn daughter, Coquette. The newborn fleece on this cria feels very dense, and looks very fine, very crimpy and extremely bright. 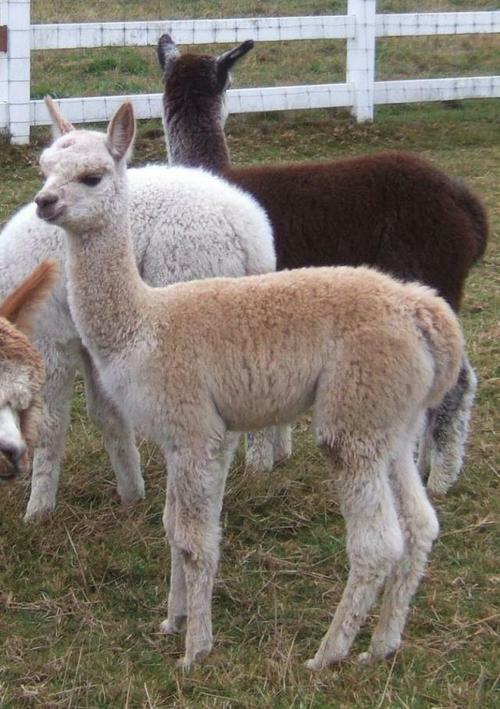 Her second cria, Steward (aka: "Stu"), was born in 2015 and sired by Constantino (Casimiro's LF sire) and "Stu's" 2016 cria fleece made my farm helper drop her jaw and it was still in the bag. 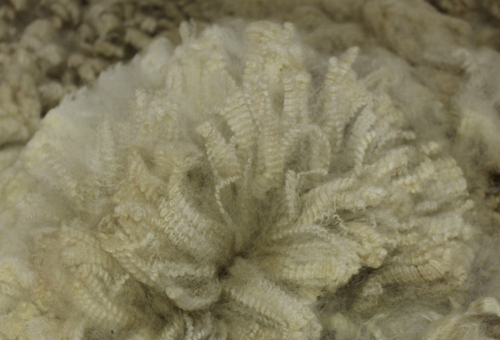 Stu is phenotypically and conformationally correct and has a glowing ivory colored fleece with top drawer crimp, brightness, handle and bundling. 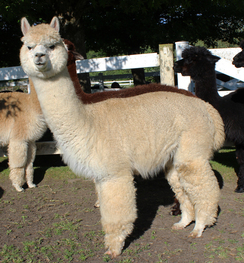 Anahera is a good-sized girl and makes very nice crias. She breeds and births easily and has heavy lactation. Her full sister is Cimarron. Her pedigree includes Accoyo Felix (sire of Aussie Rockford), The Silversmith, Lanark's Silver Charm and many black and gray ancestors. Excellent producer, just like her mama. 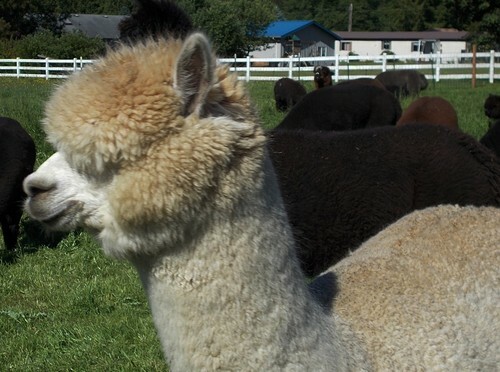 2018 cria is a gorgeous black male...typey, bright, very silky, crimpy and dense. Great potential here. 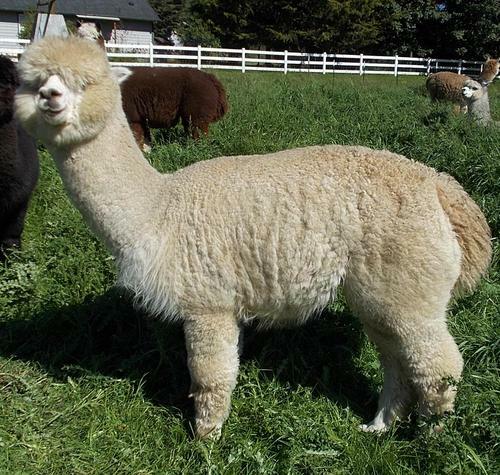 See photo of her maternal brother's fleece. Sells with breeding. Coquette is a beautiful and typey LF female with black, fawn and grey genetics. She has been full of energy literally from the time she hit the ground. 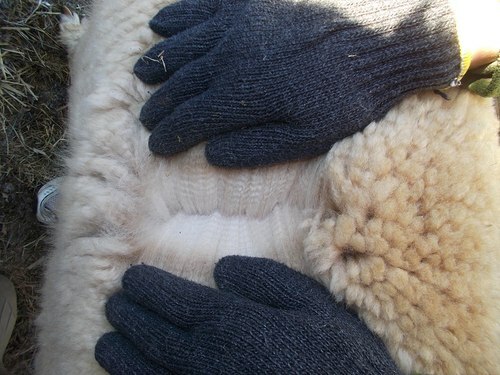 Her fleece has good density and is silky and bright. 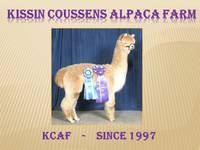 Her sire is our black Reserve Champion, Casimiro (18.0 m / 3.0 sd / 16.7 cv) and her dam is a Lanarks Silver Charm granddaughter. She has many close relatives who are champions. Coquette is co-owned with Ellen Carey-Starr.